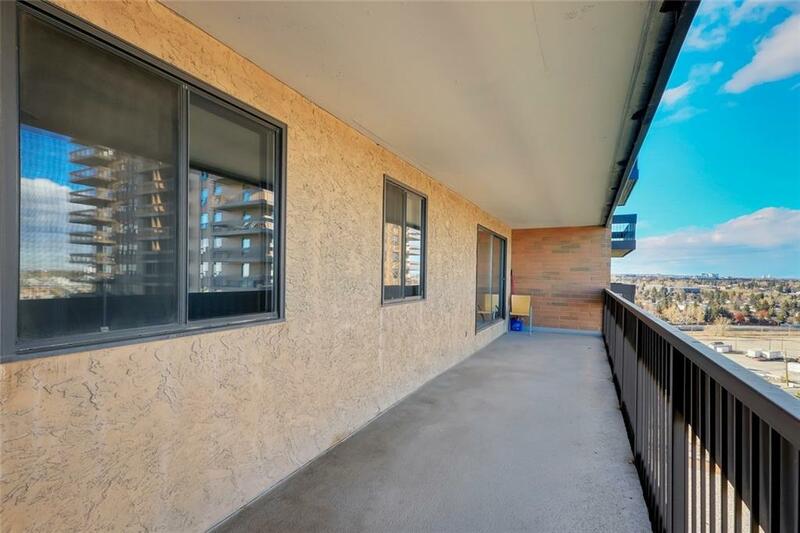 This spacious TWO bedroom condo with a well thought out open floor plan also includes stunning views from your balcony. You will appreciate the convenience of your insuite laundry room and plenty of additional storage across the hall from the unit. 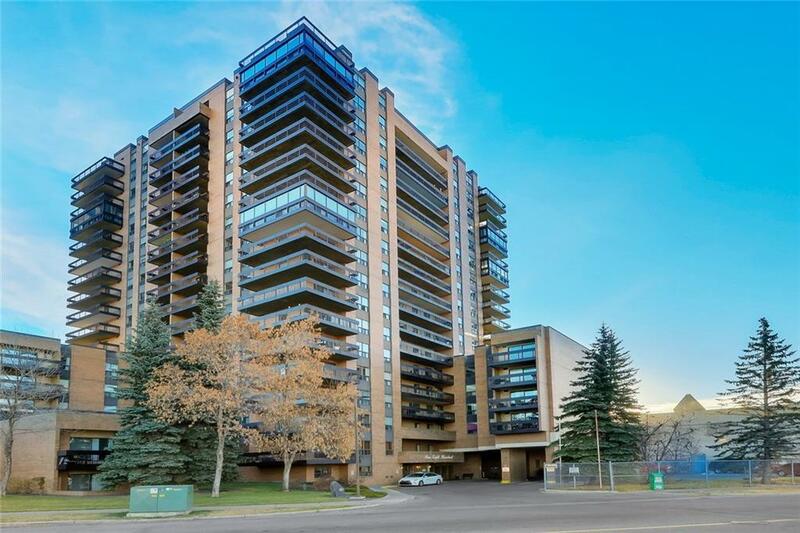 Numerous amenities include: social room, exercise room, sauna, underground heated parking and evening security all utilities and cable are included in condo fees! 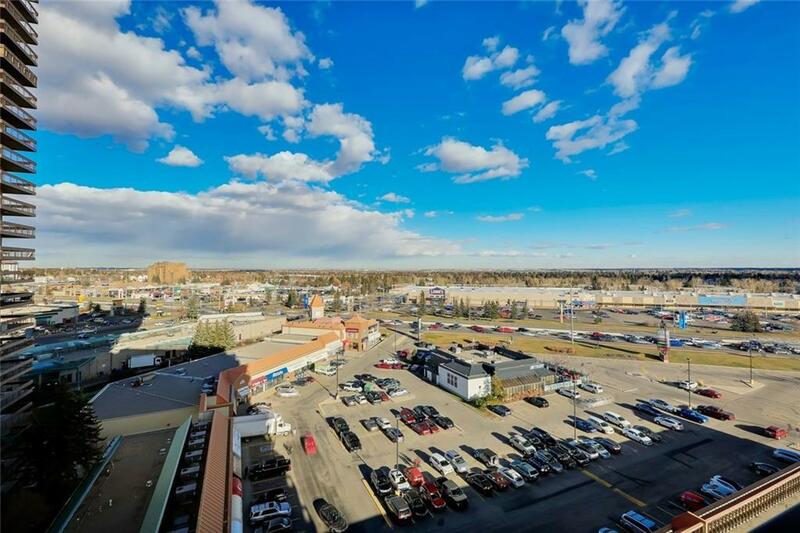 In close proximity to grocery stores, restaurants, gas station, professional buildings, major road & just a short walk to the LRT station and shopping centre. 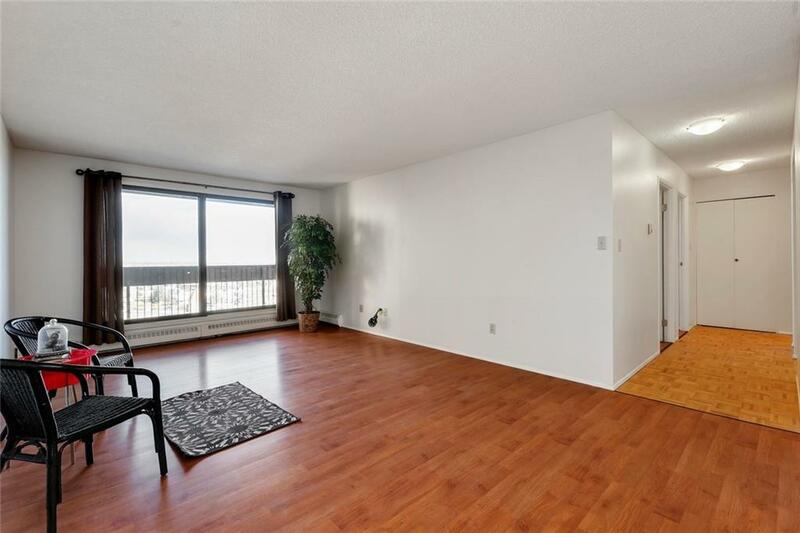 Very well priced and centrally located this is an opportunity not to be missed in this 18+ building. Listing provided courtesy of Re/Max Real Estate (Central). © 2019 CREB®. All Rights Reserved. Data supplied by CREB®’s MLS® System. CREB® is the owner of the copyright in its MLS® System. The Listing data is deemed reliable but is not guaranteed accurate by CREB®. The information provided is for consumers’ personal, non-commercial use and may not be used for any purpose other than to identify prospective properties consumers may be interested in purchasing. The trademarks MLS®, Multiple Listing Service® and the associated logos are owned by The Canadian Real Estate Association (CREA) and identify the quality of services provided by real estate professionals who are members of CREA. Used under license. The trademarks REALTOR®, REALTORS®, and the REALTOR® logo are controlled by The Canadian Real Estate Association (CREA) and identify real estate professionals who are members of CREA. Used under license. Data last updated: 2019-04-20T10:29:25.03.